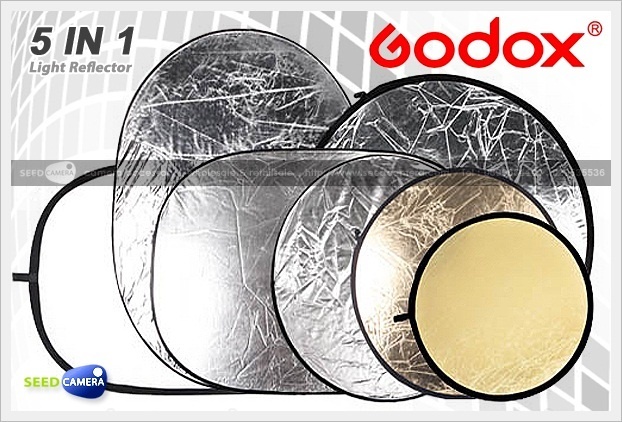 Godox Reflector Chameleon five-in-one portable reflector kit eliminates the need for multiple reflectors, silks and solids. The Silfoil Chameleon is a lightweight, circular, steel-framed reflector system which folds conveniently into a disc approximately one-third its in-use size for easy transport and storage. Unlike conventional reflectors, however, the Chameleon features a removable, reversible cover which allows for five uniquely functional surfaces in three separate configurations. 5 in 1 Light Reflector 42"
ท่านประหยัดได้: 0.00% 5 in 1 Light Reflector 32"